The renowned and beloved New York Times bestselling author of An Altar in the World and Learning to Walk in the Dark recounts her moving discoveries of finding the sacred in unexpected places while teaching the world’s religions to undergraduates in rural Georgia, revealing how God delights in confounding our expectations. Barbara Brown Taylor continues her spiritual journey begun in Leaving Church of finding out what the world looks like after taking off her clergy collar. In Holy Envy, she contemplates the myriad ways other people and traditions encounter the Transcendent, both by digging deeper into those traditions herself and by seeing them through her students’ eyes as she sets off with them on field trips to monasteries, temples, and mosques. Troubled and inspired by what she learns, Taylor returns to her own tradition for guidance, finding new meaning in old teachings that have too often been used to exclude religious strangers instead of embracing the divine challenges they present. Re-imagining some central stories from the religion she knows best, she takes heart in how often God chooses outsiders to teach insiders how out-of-bounds God really is. 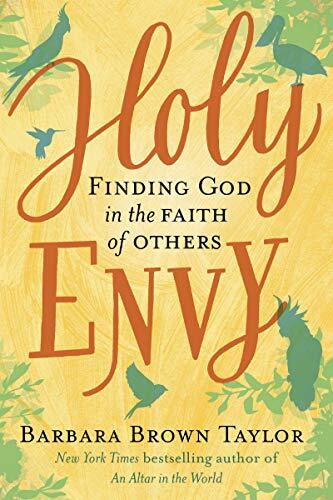 Throughout Holy Envy, Taylor weaves together stories from the classroom with reflections on how her own spiritual journey has been complicated and renewed by connecting with people of other traditions—even those whose truths are quite different from hers. The one constant in her odyssey is the sense that God is the one calling her to disown her version of God—a change that ultimately enriches her faith in other human beings and in God.